In the deepest forests below Sapphire Heart lies the ruins of an Ancient Civilization. Who were they? Where did they come from? How did they come across such great power? Unfortunately the answers to these questions have been lost in the annals of time, but one thing is for certain. 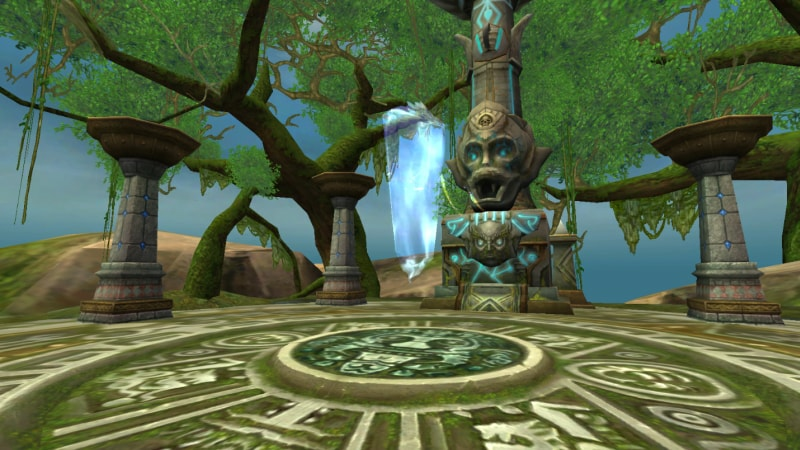 You need to harness their ancient power before your enemies do! This Battlefield is open in the cross-server every Monday, Thursday, and Sunday. Players may only solo queue into this Battlefield. 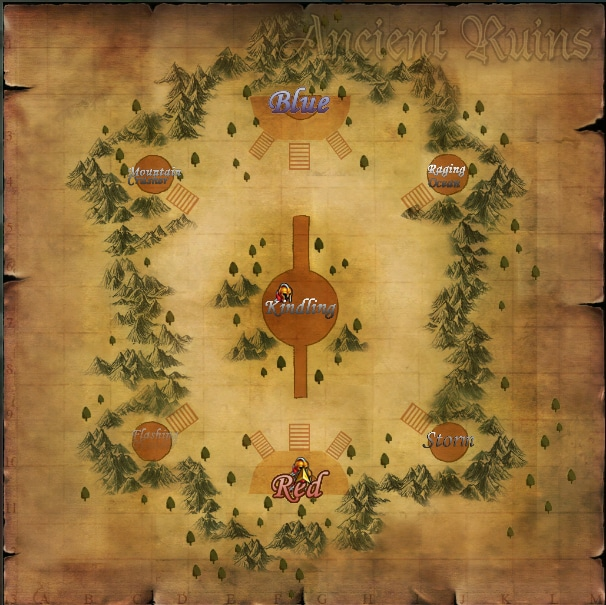 The map for Ancient Ruins is fairly straight forward. There are 2 crystal pillars on either side of the map and one large crystal in the middle, the objective is to gain control of these crystals and harvest more energy than the opposing team. Once the match starts, capture the crystals on either side of the map. They are neutral so taking control of them will merit your team energy points which will accumulate the longer that they stay within your team’s possession. 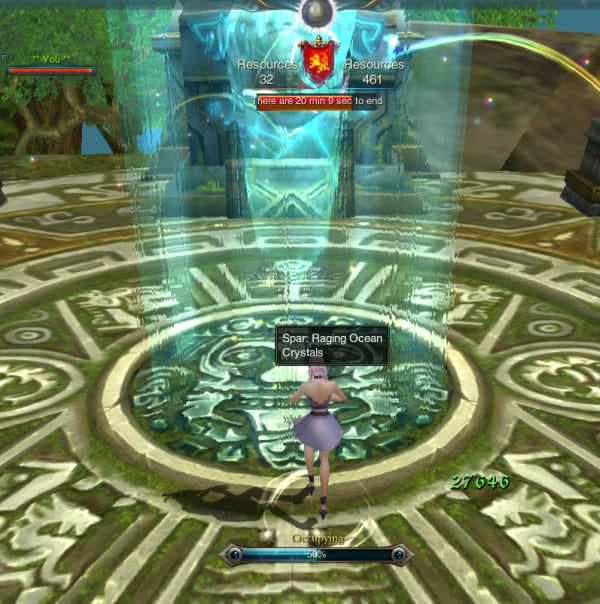 Once you have taken control of one of the crystals on the side of the map, you may capture the crystal in the middle. DO NOT TAKE THE CRYSTAL BACK TO YOUR BASE. Instead, take that crystal to one of the crystals under your control on the sides of the map. Bringing the captured center crystal there will add a significant amount of energy points to your score, vaulting you ahead of your opponents in a big way. Please note that whoever captures the crystal in the center, will be hit by a significant speed debuff. Be sure to protect your runner from opposing players as he or she makes their way to your control points. 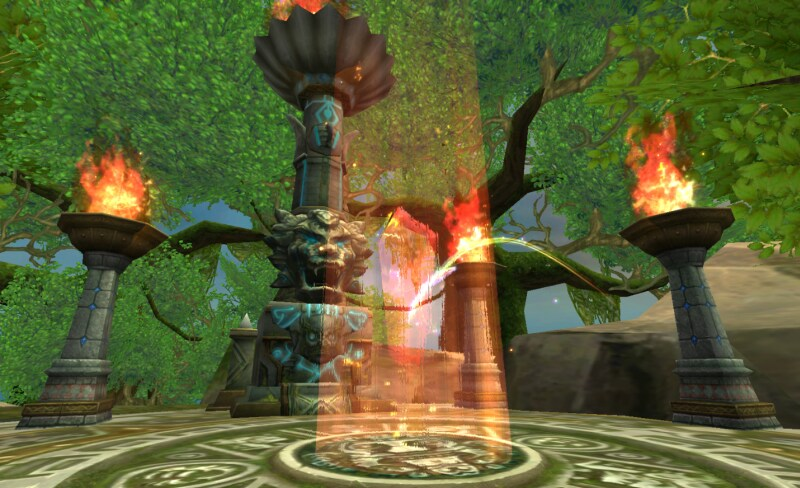 To aid your battle, powerups will spawn at the base of each crystal pillar. Some of these may add speed boosts to your runner, some will remove the debuff altogether, and some will regenerate your health so be sure to manage your powerups correctly. Once either team has acquired 3000 energy points the match is over and you may reap the rewards of battle. We hope this guide assisted you in your quest for glory. To learn more about the game read the other guides in this section, and we’ll see you on the Battlefield!